Many patients are interested in Dr. Sarno and facet syndrome. They are curious if their facet joint pain might actually be TMS in disguise. Dr. Sarno has passed from this world, but his ideas continue to help millions of people with chronic pain. His theories also continue to gain popular support in the medical and complementary healthcare communities as more and more of his teachings are put to the test in clinical practice, often with startling results. If you are a fan of Dr. Sarno, a student of tension myoneural syndrome or a patient who suspects that the mind might play a role in the development, escalation or continuation of your suffering, then this focused dialog is written just for you. In this discussion, we will examine some of Dr. Sarno’s teachings about facet joint syndrome and provide guidance on his treatment for patients who accept the TMS diagnosis as the most logical explanation for their pain. Dr. John E. Sarno worked at The Rusk Institute of Rehabilitation Medicine in Manhattan for years. Although a traditionally-trained physician, Sarno, much like Freud, is best remembered for his contribution to the mindbody health arena. His best work is more modern psychology than it is modern medicine, but that is simply because the present day interpretation of medicine has fallen so far from its intended path that it barely qualifies to be called healthcare in the true sense of the word. After years in practice and facing the dismal results that all doctors endure when dealing with chronic pain patients, Dr. Sarno began to develop the formative theories of what would become his life’s work: Tension Myositis Syndrome. This new diagnosis laughed at the idea that chronic pain was a result of the normal degenerative processes which affect all of us and instead focused on pain being created for primary gain of the unconscious mind. To summarize the rather complex TMS theory, pain was a result of a psychological defense mechanism, not a consequence of injury or structural degeneration. Dr. Sarno already contributed much to the field of chronic pain simply by recognizing that symptoms were often related to mindbody phenomenon, but he was not content with this achievement. 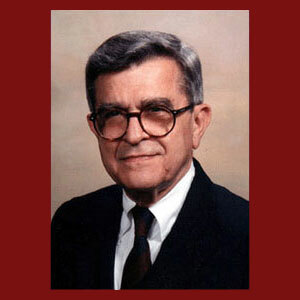 Sarno was a classic clinician and wanted to provide satisfying treatment results for his many patients. He therefore went about creating a therapy program for the treatment of his new diagnosis, tension myositis syndrome. He began to refer to this care method as knowledge therapy. Since Sarno postulated that the pain had nothing to do with the mechanics of a troubled anatomy, he put aside traditional methods of care, such as physical therapy, that treated the body. Instead, he focused his work on the mind. Patients were encouraged to learn all they could about why they had pain and why the structural reasons blamed previously were incorrect and often baseless. The patient was further instructed to spend introspective time trying to understand the causative emotions that were manufacturing pain and how to stop the mechanism from victimizing them any longer. Sarno spent decades improving his treatment program and probably could have achieved even more were it not for his advanced age and need to eventually retire from active medical practice in his 90s. Knowledge therapy became the go-to treatment for a wide range of health problems thought to be a psychogenic nature. Sarno’s results were excellent, but of course, like many other great successes, the program could not be universally-applied and some patients were disappointed with their outcomes for various reasons. Dr. Sarno wrote specifically that he believed facet joint syndrome to be yet another structural scapegoat of classic nature. He describes the anatomical changes as being normal to experience and universally expressed in all adults. Sarno obviously did not subscribe to the idea that facet pathologies existed, but instead were just another excuse on which TMS could be blamed. Our experience shows that Dr. John Sarno was right in many patient profiles. We see misdiagnosed facet syndrome often in clinical practice, but this is where we draw a sharp line of demarcation from his ideas. We also see obvious pathologies in facet joint patients, as well as general back and neck pain patients that Sarno tended to sweep into the umbrella heading of TMS. As we have editorialized in past writings, Sarno is a great hero and medical pioneer. He did more to advance some basic truths of health than any figure in the past century. However, his work was also his undoing is certain ways. Sarno overly generalized about the nonstructural nature of chronic pain. This grew as a problem as his work progressed. The TMS diagnosis itself turned out to be a horrible idea, since it tended to exclude and alienate many people who were obviously suffering from it. We feel that this diagnostic label was the very worst idea Sarno ever had. We also feel that some people who were told that they had TMS actually had anatomical basis for pain and others were suffering from secondary gain issues, rather than primary. We have met many of these people in our last 15 years of working on The Cure Back Pain Network websites. However, we must stress that we are avid supporters of Dr. Sarno’s theories and true admirers of both his work and the man himself. It takes great respect to criticize the work of a genius and do it only to advance the very ideas their creator holds so dear. To finalize our coverage of mindbody apophyseal joint pain, please read how the very best knowledge therapy practices are inherent components of our own proprietary and proven pain relief program.